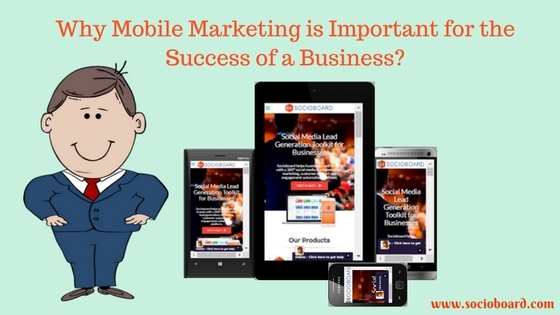 Why Mobile Marketing is Important for the Success of a Business? Mobile marketing unlocks lots of opportunity for marketers on a bigger scale. Mobile marketing allows marketers to reach a larger audience in very short period of time. In this modern age of technology almost every person having one mobile phone with them. According to the may 2015 report, 70 percent of the population owns mobile phones, 55% own tablet. The most interesting fact come from this above statics that 70 percent of population access the internet via their mobile device and not their laptops or desktop computers. With the rise of mobile and tablet in the market. The number of mobile devices has outpaced the global populations. 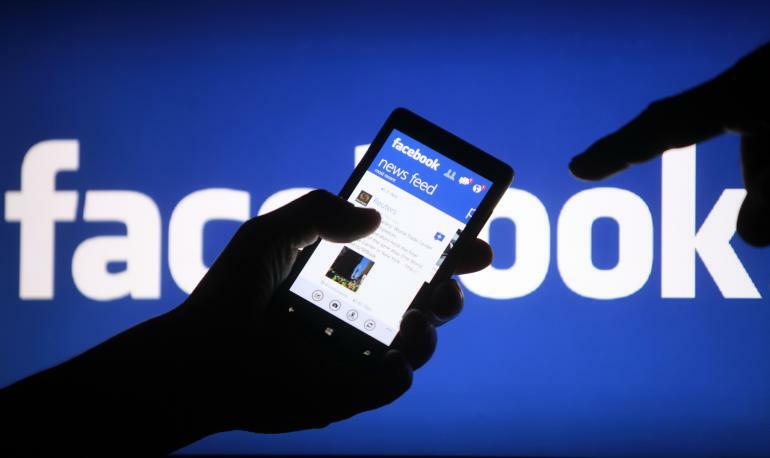 In this article, I will let you know why Marketers should move towards mobile marketing. According to the IDC, research people look into the mobile screen more than any other gadget. People spend 195 minutes per day using their smartphones. Mobile helps marketers to reach their consumers 24/7. So as a business person it is very important for you to make yourself ready when they need you. Whether for shopping, Services, product information or complaint. Earlier e-commerce business a mainly open on the desktop. But nowadays people pull in into their Mobile. According to the HubSpot, mobile commerce will command 24.4 percent of overall e-commerce profit by the end of 2017. Many big companies are launching their ads with buy now button. Like Pinterest have finally revealed “Buyable Pin” and Google recently announced that “Buy” button is available to mobile shoppers. So for mobile marketing brand should mainly focus on mobile-specific advertising, search engine marketing, and mobile-friendly web page to get the in front of shoppers when it counts. SMS marketing is the powerful tool of Mobile marketing. This helps you to send your brand’s advertisement direct into the hand of your consumers. Without the clutter of email inboxes or noise in the channels. So if you are not tapping into the power of SMS, now it’s time to start. According to the Google Algorithm site which will be mobile- friendly will rank higher than the site which is not mobile friendly. To get good rank in SEO helps you to drive traffic and generate revenue for your business. And to fulfill the demand of Google algorithm to get a good rank you have to make your business website mobile-friendly. And if your business site is not mobile-friendly it will suffer the search result. 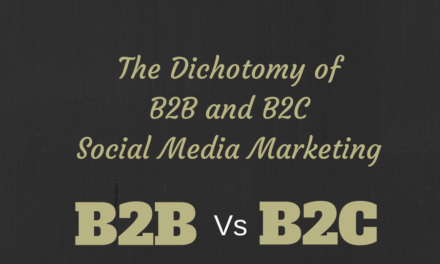 As marketers, content is on of the medium to describe your product in front of your audience. On Mobile phone, people used to consume more content than ever. So It is a big deal for the marketers that how they should make content show that it look goods on the vertical and small screen. So that they can connect with their users. Mobile Marketing is one of the best methods to reach a larger audience of different age. In total change the way of marketing. 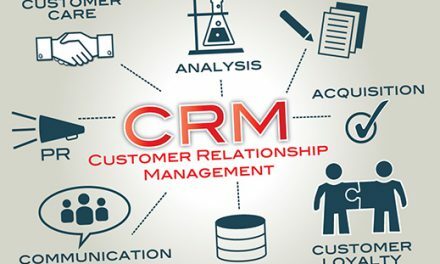 It gives marketers a more different way to connect with their consumers. Marketers should also research that how to fit their business and generate more revenue using Mobile Marketing. Mobile marketing is today’s demand and tomorrow’s opportunity. 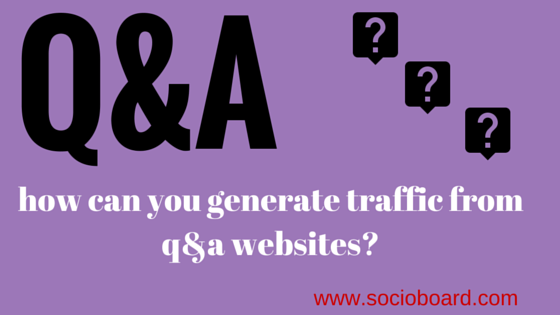 How can You Generate Traffic from the Q&A Websites for Your Website?